This is the devastating reality behind poaching - not only is there the loss of life, but the destruction of a family as well. A recent video shared by the Protrack Anti-Poaching Unit on Facebook showed the rescue of a orphaned white rhino in South Africa. 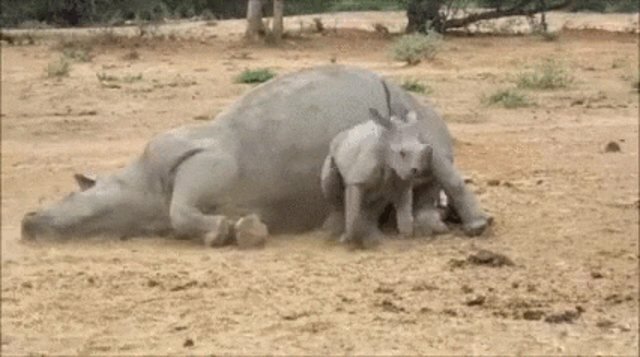 The baby rhino's mother, who lost her horn and life to poachers, lies lifelessly on the ground. 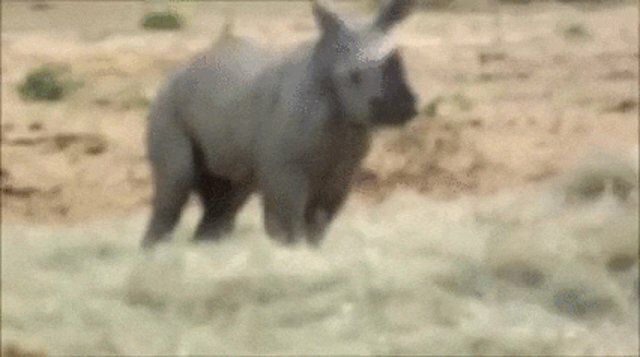 No matter how many times the baby rhino attempts to nudge her awake, she doesn't move. 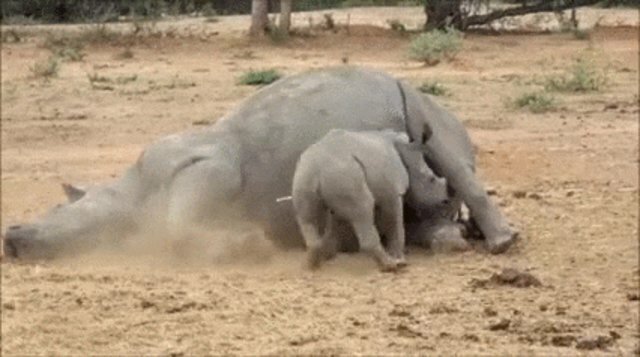 The young rhino runs around in circles in distress, still refusing to leave her fallen mother's side. Ultimately, the orphaned rhino is tranquilized and carried away by her rescuers. There are only about 20,000 white rhinos left in the world, according to Save The Rhino International, and poaching takes more and more lives every year. Last year, a total of 1,175 rhinos in South Africa lost their lives to the cruel practice. With African countries like Cameroon, which just recently hosted an ivory burning, and Kenya, which is preparing to burn 5 percent of the world's ivory on April 30, the world is sending a crystal clear message about poaching in Africa - the violence must come to an end. The orphaned rhino featured in the video below is now at the Hoedspruit Endangered Species Center. "This is the young baby who arrived with us on the 24th [of] April," the center wrote in a Facebook post. "To see her tiny body in context next to her dead mother really brings the reality of this tragic situation to the [forefront]." See the heartbreaking video of the orphaned rhino and his mother below. Viewer discretion advised - the clip does contain graphic content. Click here to find out more about how you can take action against poaching and other crimes against wildlife. Thankfully there are many good people working to help orphaned rhinos and elephants who have lost their moms to poaching.